Want to own a prop from the original ‘Twin Peaks’ series? 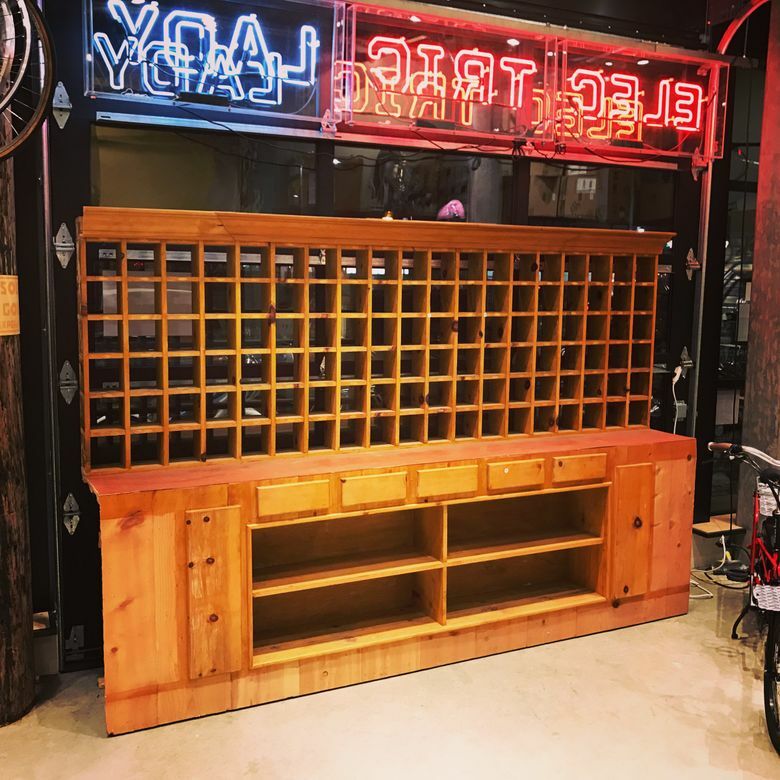 A Seattle bicycle shop owner is currently selling an “original prop/set piece” he claims was used in the filming of the “Twin Peaks” TV series. For sale is the mail boxes/registration desk that can be seen in the background of many scenes set at the “Great Northern Hotel,” the exterior of which is the Salish Lodge in Snoqualmie. In a phone interview Alex Kostelnik, co-owner of Electric Lady Bicycles in Seattle’s Central District, confirmed that he is selling the movie prop. A Craigslist ad originally posted last week shows photos of the item, which were purchased in 2015 from an estate sale of Patricia Norris, an Oscar-nominated costume and production designer. Norris, who died in 2015, owned a summer home on Vashon Island and worked on such films as “Victor Victoria,” “Scarface” and “The Elephant Man.” The Twin Peaks Archive blog, posted several more photos of props that were available at the 2015 estate sale. Kostelnik is a huge fan of the series and was shocked to learn the items were available. After the elation from buying the item wore off, Kostelnik says he realized he doesn’t have the space to store it long term. He’s trying to get $2,000 for the piece, which he says is just to cover the cost of everything it took to rescue it. For the time being, it sits in his Central District bicycle shop awaiting a buyer. Kostelnik also bought a giant Canada goose that can be seen sitting on top of Ed’s Truck Farm in “Twin Peaks.” Among the items he tried to buy, but was outbid on, was the original Double R Diner sign — which, for the show’s purposes, adorned the real Twede’s Cafe in North Bend.